Kathy on the left, me on the right. It's only fitting that I listen to Ozzy while writing this post. I first met Kathy around the time that the top picture was taken. Kathy's on the far left and I am on the far right. We were taking Polaroids with somebody's camera during lunch period & this blurry snap was one of the results. Kathy and I became fast friends in 7th grade. I don't know if we had had a class together or friends in common. What I do know is that when we met we clicked. 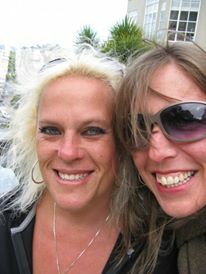 Kathy and I spent most of our free time together. 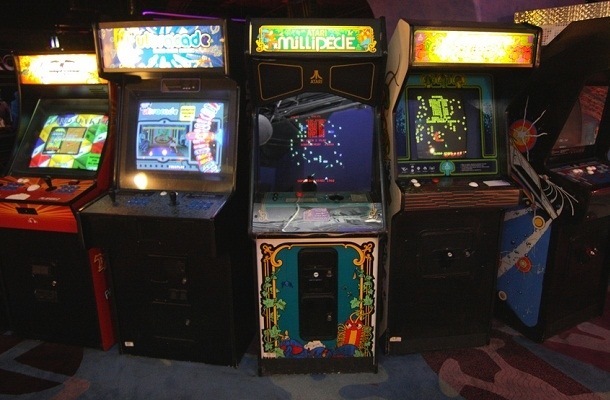 Most weekends involved going to the mall, the video arcade, and the midnight movies. If we weren't hanging out, then we were glued to the telephone talking to each other for hours on end. My Mom got sick of my always being on the phone and instituted measures. Setting the kitchen timer and placing it by the phone she'd say, 'You have 45 minutes and that's it!' The timer buzzing rudely meant I had to hang up. When it was time for Kathy to get off the phone, her Mom would go out to the garage where Kathy stood talking into the phone receiver and yell at her. We were in sync the way most young girls seem to be at the onset of puberty. We wore matching clothes; polka dots, leopard print, and checker board motifs ruled the day. Kathy, using a toothpick, developed a technique that resulted in being able to paint our nails in excellent checker board and polka dot patterns. 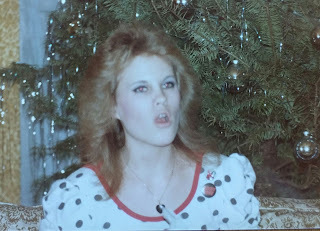 And, as it was the early 80s, we shared a love of wearing tons of pink and grey eye-shadow and pitch black eyeliner. 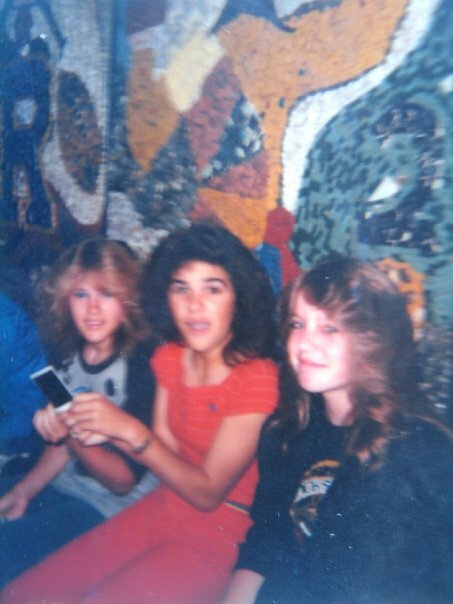 We also went through lots and lots of Aqua Net. Those feathers weren't going to hold themselves up! 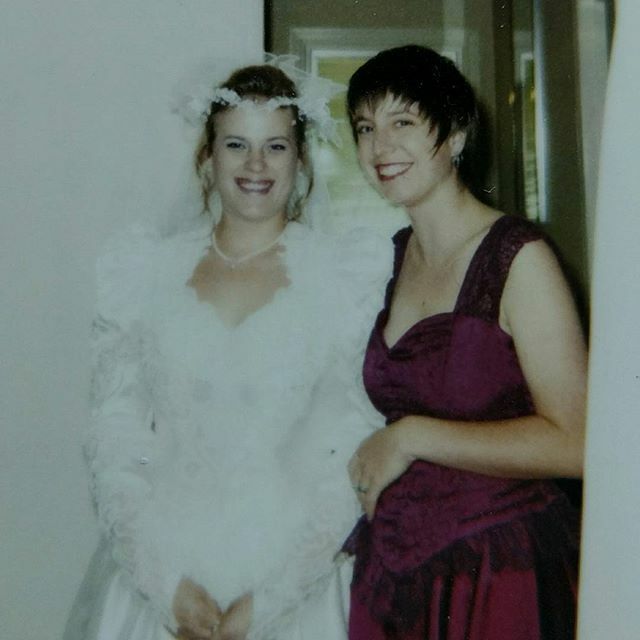 Kathy married in 1994, and, eventually, moved to Vegas to start a family. I continued living in the Bay Area, and, until my 40th year, stayed mostly single. Kathy and I kept in contact via telephone and social media, save for the very occasional visit. Ours was the sort of friendship that even if we hadn't talked for a while we could pick up where we left off. Kathy was smart, funny, driven, and loved her family deeply. Her absence leaves a hole that can't be filled. Which is a lovely eulogy, but very, very sad. What a wonderful tribute and what a rare, wonderful friendship. Thank you for that, Sandra. I wish we had been closer these past few years, to be honest, but things are what they are. How sad. I hope everyone left loved her as much as you do.